How do you implement Lean in a Warehouse? Henry Technologies (Heldon Products) is a leading international supplier of industrial refrigeration components. This case study explains how Lean warehouse processes were implemented at Henry Technologies delivering improved safety, productivity, accuracy and on-time delivery. 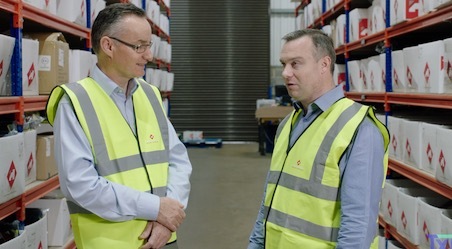 The video features an interview between TXM Managing Director, Tim McLean, and Jason Owen, Operations Manager at Henry Technologies, who lead the Lean warehouse transformation. Warehouses don’t make things and don’t have production lines, but they can still really benefit from Lean. Learn how in this Lean warehouse case study video.